Cumbia River Band, Martin Vejarano’s (CHIA’s Dance Party, La Cumbiamba eNeYé) new project draws from a festive repertoire of Colombian Cumbia standards. These all time favorite Cumbia hits will take you back to the golden years of the genre as well as inspire you to dance and contemplate the joy and energy that this Cumbia River brings along. Featuring tuba, accordion, clarinet, percussion and voice, the band delivers a captivating fresh sound. With Sonia de los Santos, Martin Vejarano, Erika Mancini, Juan Montoya and Sofia Tabak. 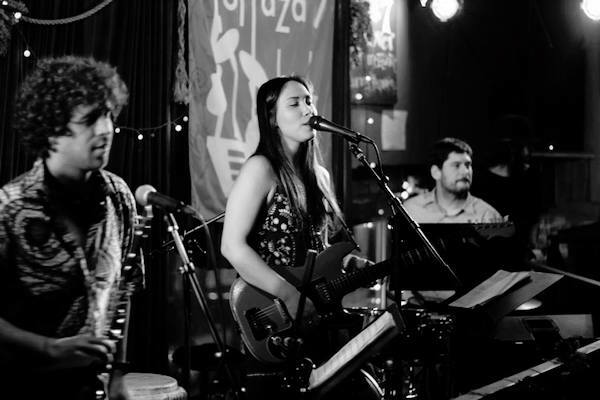 Cumbia River Band at Terraza 7 on Friday October 23rd, 2015 at 10:00pm. No Replies to "CUMBIA RIVER"